Or just a place to get high - whoops it already is. 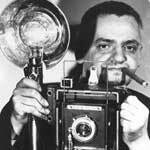 If anyone finds the roach clip I lost down there in 1976, would you give me a call? Can you describe it? Was it an alligator clip, a hemostat, or something else? Just where in the Arches were you partaking? If memory serves, it was an alligator clip with a feather hanging off it. I cringe at the thought of young me. I remember those clips very well with the crappy colored feathers on them. Next you'll be reminiscing about the sticky floors in the State Theatre. Isn't this the same spot the gas pipeline goes through? So pipeline is bad, but park above the pipeline is good? I believe the pipeline runs north-south just east of the eastern end of the Arches, which run parallel to 139. I don't think it is where the pipeline was installed. However, there is a bike trail (Columbia Trail) in NJ where the trail is directly over a high pressure pipeline. I have biked it a few times. 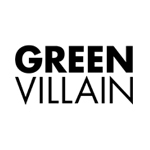 Good, then you'll love Green Villain! Do some research. A Berlin architecture firm has teamed with a local arts organization to present a wild new plan for the historic Bergen Arches that would turn the former rail corridor into a massive new public park. Renderings courtesy of So + So Studio show the currently overgrown and unused Bergen Arches replaced by elevated walkways, a bike lane and open green space. The mile-long former rail line, which runs mostly parallel to Route 139, is a narrow passageway burrowed through a portion of the Palisades in the early 20th Century to bring Erie Lackawanna Railroad passengers to the Pavonia Avenue terminal. As much as i want this to stay untouched, its better to have responsible planners that work with community rather than have something detrimental by organizations with no interest in the area outside of profits. Was just thinking this weekend while walking across one of the bridges that spans it that it would be interesting to make use of the space again. Great proposal. Yes Please - would be genius to make this happen. 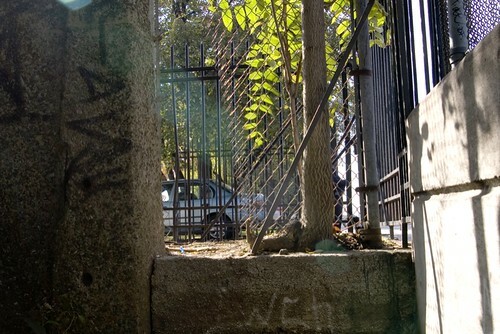 August 22, 2016 After nearly a century since it was blasted out of the Palisades, the Bergen Arches and Erie Cut are making headlines again as they are reinterpreted as a open space project rooted in the rich history of Jersey City. 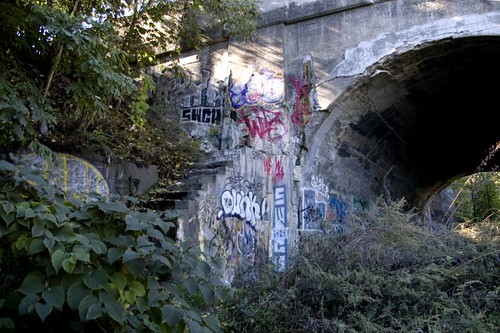 Local business Green Villain has assembled a team of architects, designers, scholars, community activists, videographers and media outlets to help reconceptualize an abandoned train tunnel into a cultural destination in the heart of Jersey City. 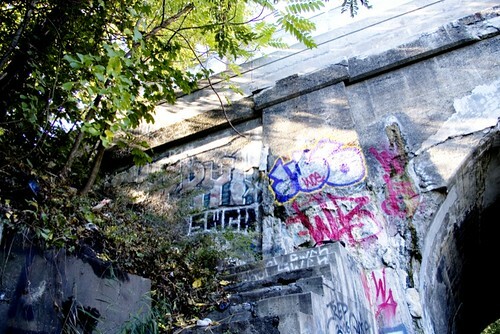 Bergen Arches is the common name for the Erie Railroad’s mile long, four-track cut through the Palisades in Jersey City. It linked the railroad's main line to the Hudson River waterfront and eventually Manhattan, for it's 30,000 daily passengers. The passage was finished in 1910, though since the last train in 1959, the Bergen Arches has become overlooked and almost completely forgotten. As postindustrial cities continue to amass mid to high-rise towers, it is imperative that we look down as much as we look up for the answers about individuality and place. The stick and steel will allow the residents to live here, Restaurant Row to eat here, but without Jersey Citycentric projects that allow us to compete on the global stage we will always be haunted by the specter of placelessness. The Bergen Arches project is the answer. Help us to reclaim and revitalize these spaces that bare such history and call for a creative future for Jersey City. Join our email list and follow our Instagram . And please share this project with your circle.